This contemporary chest from Nexera provides a truly timeless look, blending easily into any style of decor. Its manufactured wood exterior comes in a beautiful brown colour that's sure to please. Designed with timeless style and elegance, the Nexera contemporary chest works with a wide variety of decor. Its gorgeous manufactured wood exterior and white-coloured finish really make this piece stand apart. Designed with timeless style and elegance, the Prepac contemporary chest works with a wide variety of decor. It's constructed with a sturdy solid wood exterior and stunning black finish. Designed with timeless style and elegance, the South Shore dresser works with a wide variety of decor. It's constructed with a sturdy manufactured wood exterior and stunning white finish. 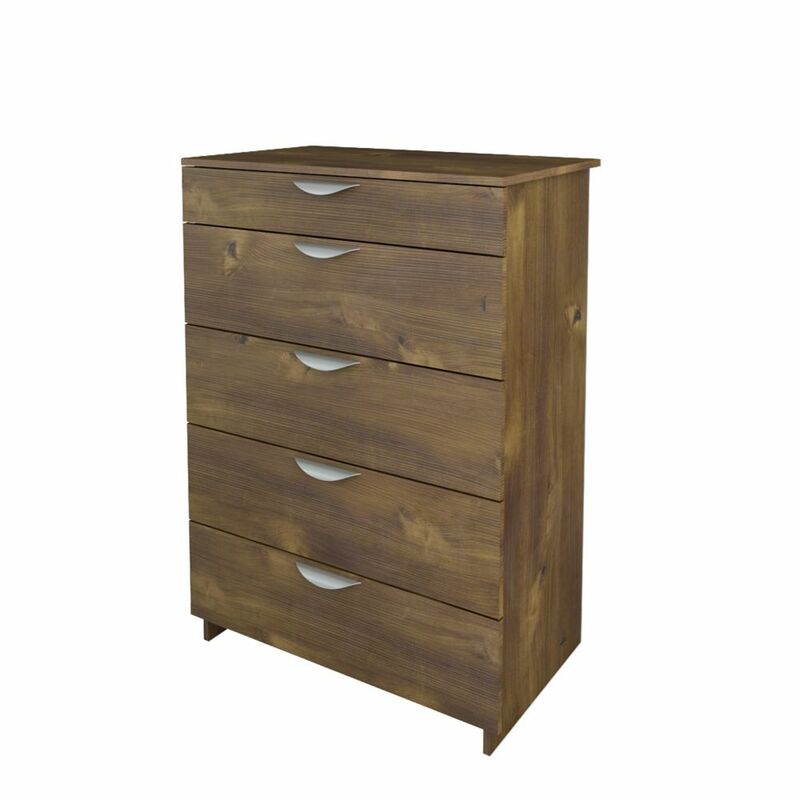 Nocce 31.5-inch x 45-inch x 19-inch 5-Drawer Chest in Brown This contemporary chest from Nexera provides a truly timeless look, blending easily into any style of decor. Its manufactured wood exterior comes in a beautiful brown colour that's sure to please.